What to look for choosing a Party Bus for the Celebration? Whether it is party venue or party bus in Long Island. You are confronted by many decisions while organizing your party. However, selecting limo party bus service in long Island is the one decision that will have the largest influence on your event. 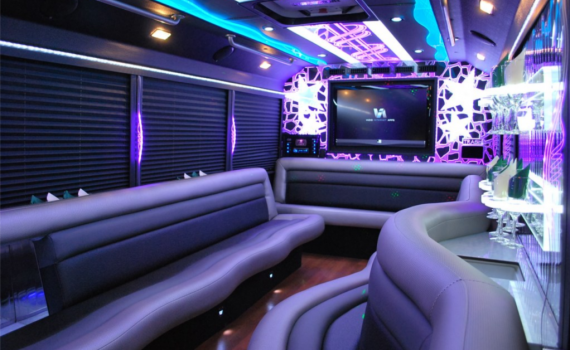 It can be hard to know what to look for when hiring party bus in Long Island. Before you begin your search, there must be a few things you should have a strong understanding. Such as budget, date of party and number of attendees etc. This information will help you to negotiate while talking to the Limo company representative and it will help you to negotiate the cost. Booking Long Island party bus at least two months advanced will definitely save your hard earned money. Follow the below steps and you will save time and money along with finding the rightful party bus in the long island of your need. Be flexible on party days which helps you can negotiate the cost. As the low rush days such as weekdays are always fewer costs. And you can enjoy your beverage, food and other entertainment in your budget. Pay special attention to the existing decor inside the limo. Check if it has enough accommodation facilities that needs of all your attendees. In addition to the ambiance inside, it is also important to take into consideration the services they offer like chilled water and other beverages. Before booking Limo Company, check with them to see what they have to offer you. As many of them provide discounts on weekdays. Few of them also charge by car, not by person. Always confirm if the quote includes everything to avoid later crises. Such as gratuity, road tolls etc. Also, check if they have backup plans if an unexpected event occurs while your party. Last but not list hire safe, distinctive, comfortable and reliable limo service provider who will not let you down on your party night. To find out more about us! Just give us a call.